Over two years ago I had a bad cycling accident which unfortunately resulted in my right shoulder being dislocated and broken and my left shoulder with a dislocation also. The injuries sustained to my right shoulder have been extremely debilitating and frustrating for myself. After several sessions of physiotherapy and manipulation I still saw no improvement at all to movement or a reduction in pain. A friend of mine suggested trialling the Functional Movement Programme at Body Complete. I have been attending The Functional Programme for a couple of months now and I have not looked back. Chris Stringer is excellent with his knowledge, perseverance and support. Movement is slowly returning to my shoulder, and the pain is less, I know my injuries will take time to restore to full a range of motion, but I have complete confidence and hope in Chris. There have been times where I became despondent, but Chris spurred me on and I have turned a massive corner with my shoulder mobility. 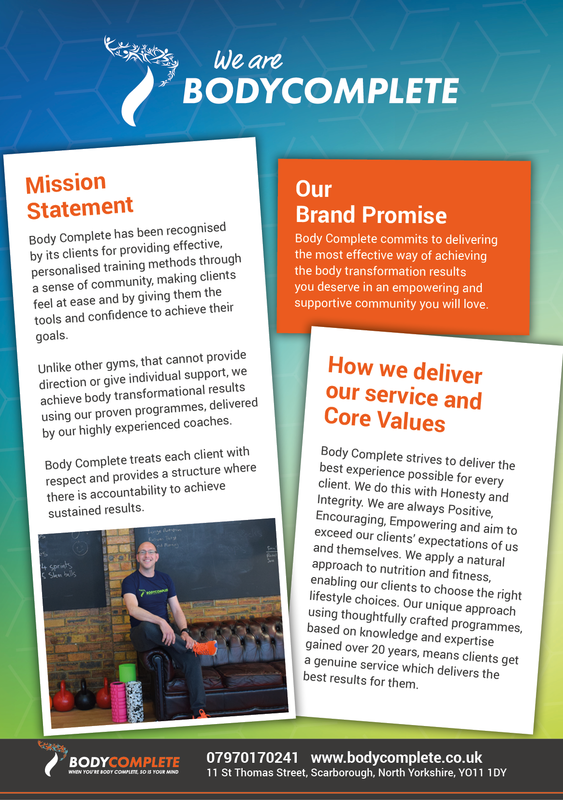 Body Complete is nothing like a normal gym, it’s a fantastic place to be, with extremely knowledgeable staff who go the extra mile to help you. I love it and so does my wife too. I would recommend anyone to come to Body Complete to see for yourself how good the staff and training programmes really are.